Director Rambhala’s upcoming project Daavu, has reportedly entered the final legs of shooting. 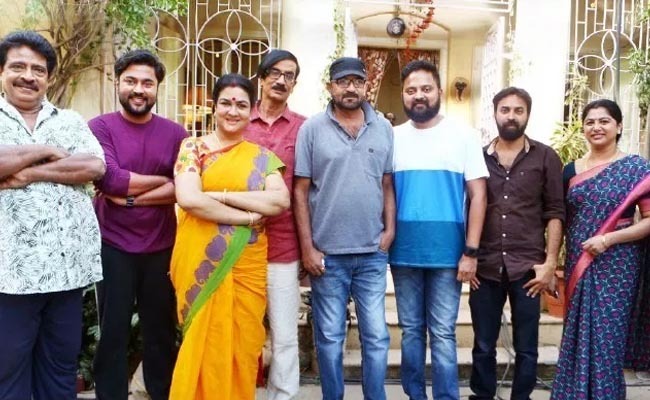 When contacted, makers of the project informed that the project has got only some portions left to be shot, including the climax portions and a song. Starring Chandramouli and Monica Reba in the lead roles, Daavu is also the second outing of Rambhala, after the hit project Dhillukku Dhuddu 2. The Santhanam starrer has gone onto perform extremely well, with makers praising the comic effect, which the movie has managed to create. Well, with Rambhala nearing to finish his next project after Dhillukku Dhuddu 2, expectations are high from the industry. Apart from the lead cast, Daavu also stars Urvashi, Munishkanth, Manobala and Livingston essaying the other important roles.